She set her sights pretty high and luckily she hasn’t mentioned trying out the monkey bars this week but she has accomplished riding a bike on her own and preschool does indeed start in the fall. I think it comes with the territory of first child, but Mia is a pleaser. She is the biggest cuddler in the world and sooooo attached to mama. She really is a good kid and on the days that are difficult or she is feeling like she needs some space she tells me she is going to take a time out in her bed until she is ready to be nice again. What three year old says that? I am amazed at the days she decides she is tired a few minutes before naptime and tells me she is ready for her nap, amazed at how protective of her little sister she is starting to become, and amazed at her desire to learn how to write and recognize all her alphabet letters. I love that she can sit with us and read books for literally hours on end. I love her passion for swimming and her desire to learn at swim lessons. I love that her favorite vegetable is brussel sprouts. I love that she is clueless about anything having to do with princesses because practically all her friends are boys. And I love her independent spirit that insists on doing everything herself. 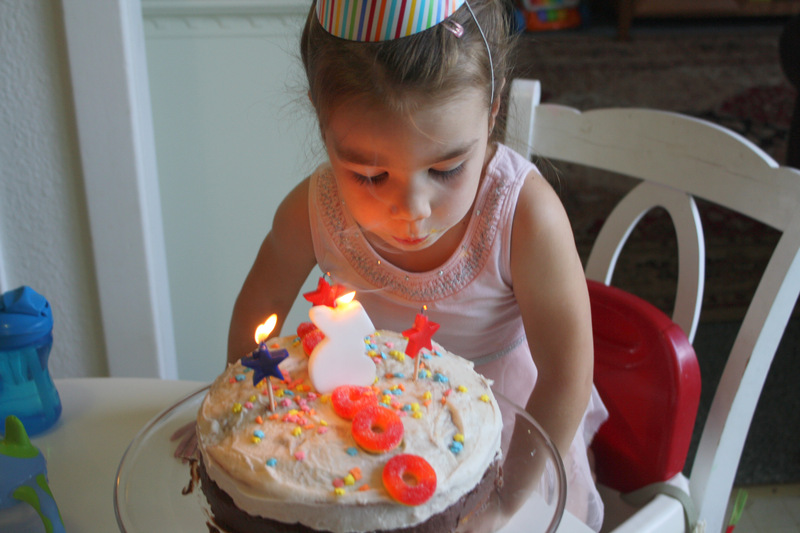 I can’t wait to watch her grow leaps and bounds in this third year of life! 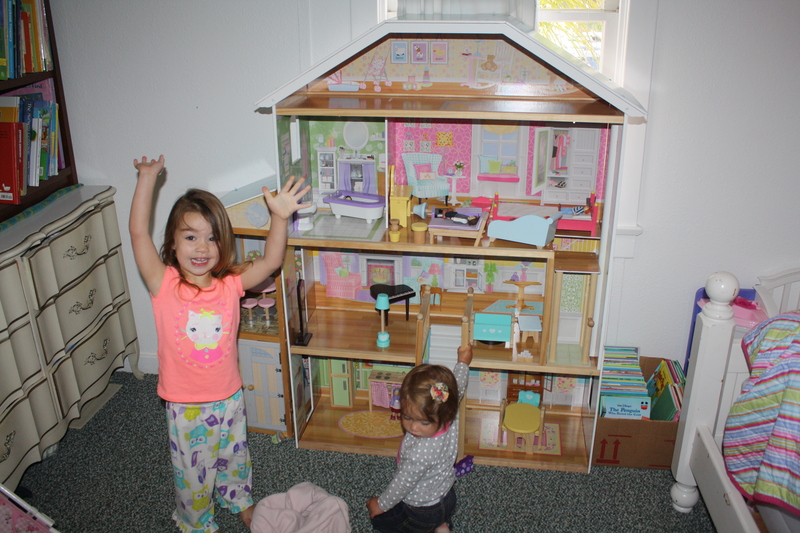 Mia woke up to a new doll house in her room. I scored on Craigslist! Mia requested to be able to drink a juice box for breakfast. 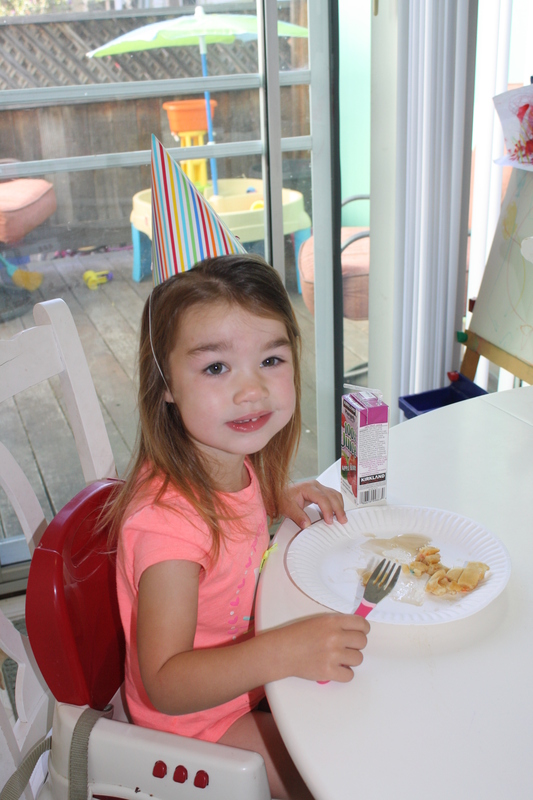 (This is a big deal as she rarely gets juice) It was her idea to make sure she had a party hat to wear while she ate her breakfast. 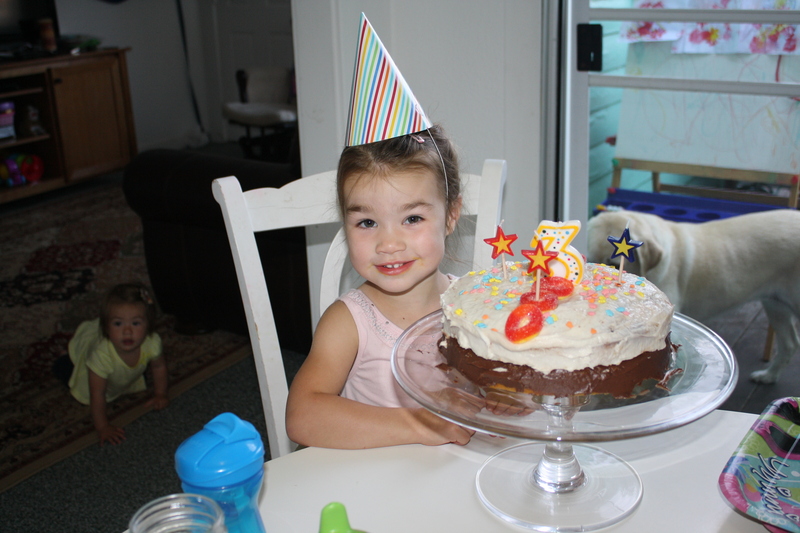 Mia chose everything about her cake and even helped me make it.